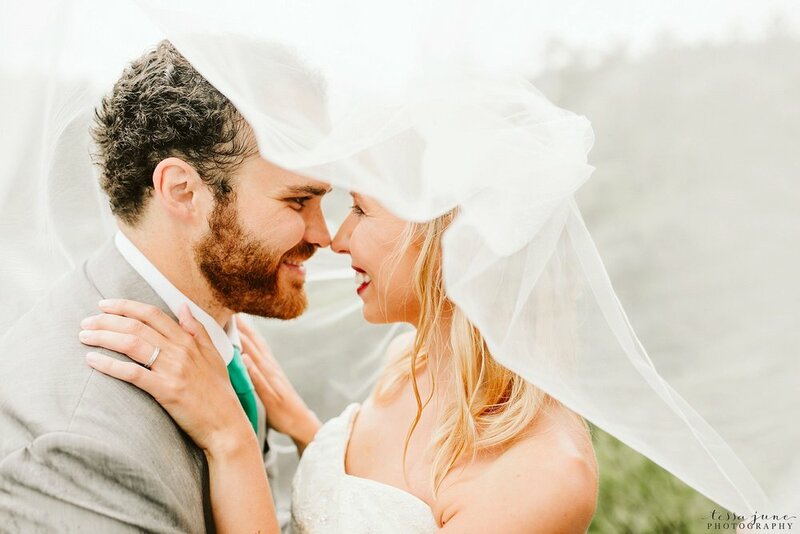 When Jenna and Jared reached out to me asking if I would be interested in photographing their sunrise intimate wedding, I immediately was SO excited! 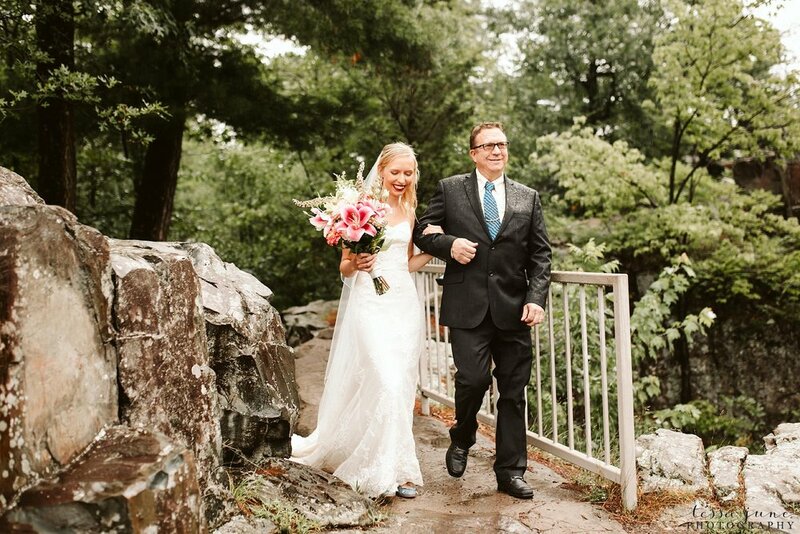 We got together and chatted about potential locations where the wedding could be held at sunrise and Interstate State Park in Taylors Falls, Minnesota was the winner! 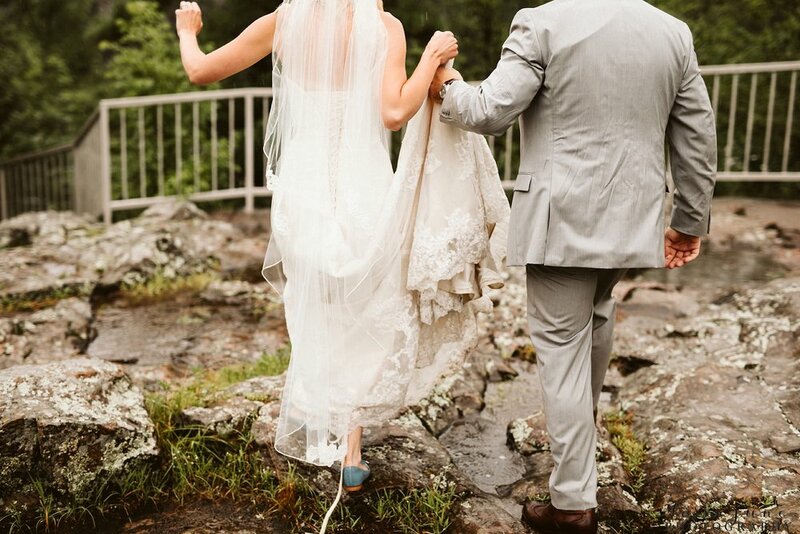 It was cliffs and gorgeous scenery that helped make the decision! 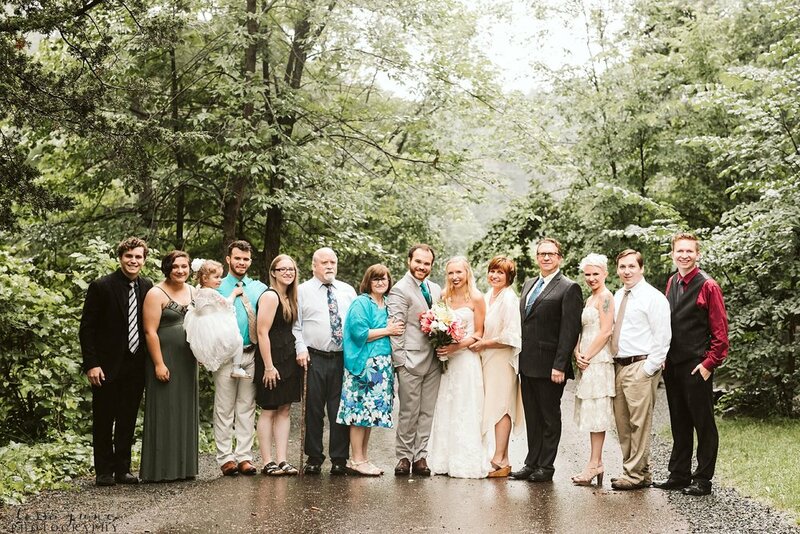 The day of the wedding, we all arrived at the park slightly before sunrise, 5:15am to be exact! 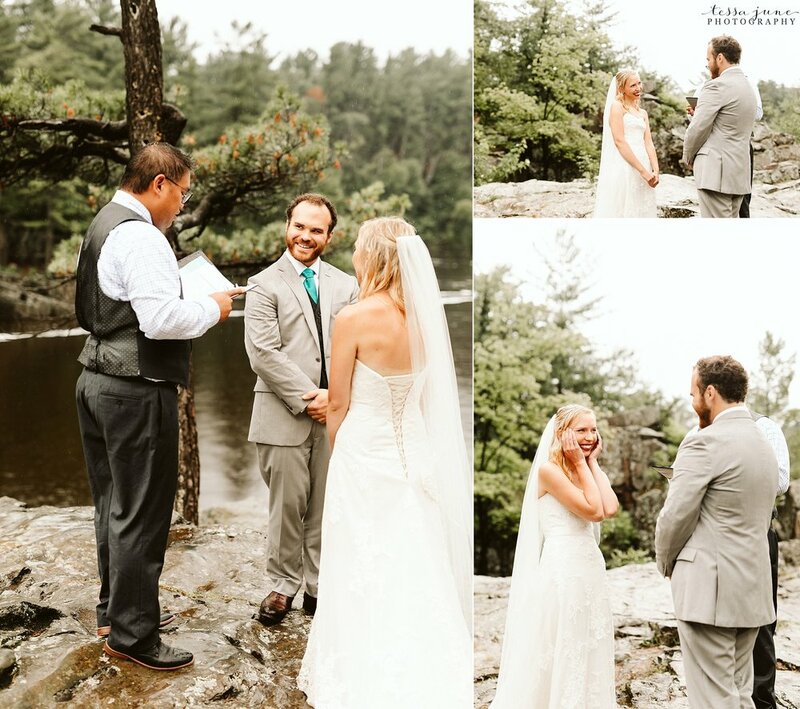 When we arrived there, WCCO Channel 4 News was there doing a special segment about Taylors Falls - they later approached Jenna & Jared after the ceremony where we snapped a photo with them! A short clip was shared about their wedding on the news! That was pretty cool! 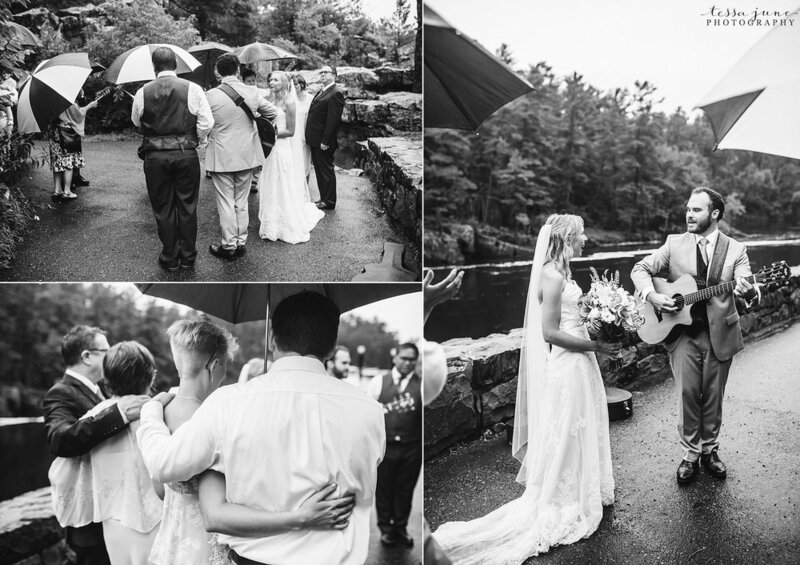 When we arrived to Interstate State park, it was raining! Yes, raining! But that didn’t phase Jenna and Jared! 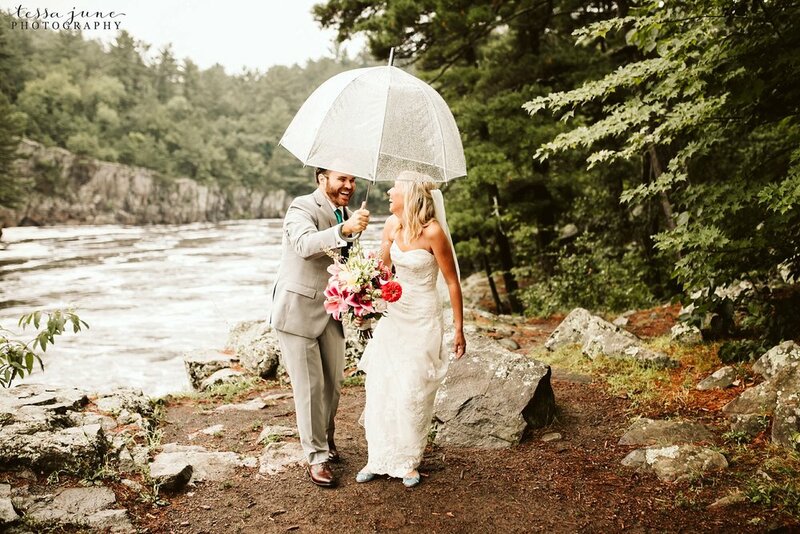 They embraced the rain hitting the trees and river nearby, they hiked through the park getting sprinkled on, they were just so happy to be getting married! Before the ceremony, we took photos of them two together; later, family joined where we then snapped some family photos. 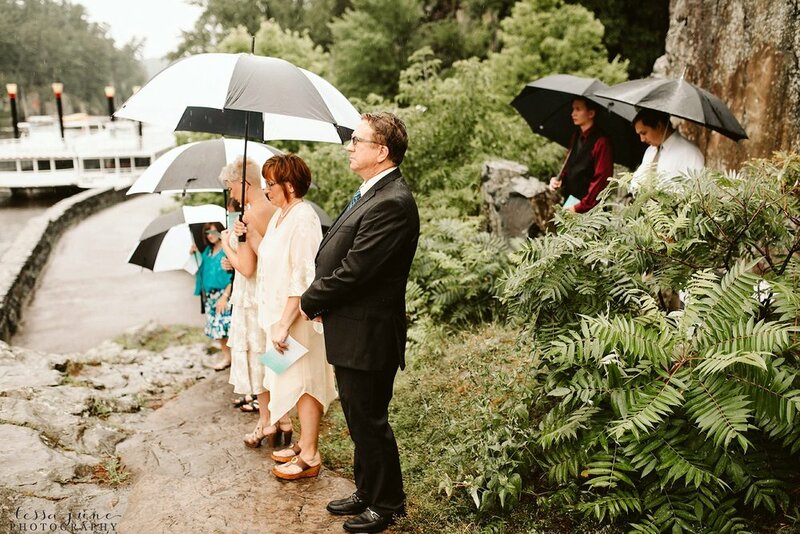 After that, we all walked to a cliff overlooking the river and the cliffs of Wisconsin to proceed with the ceremony. 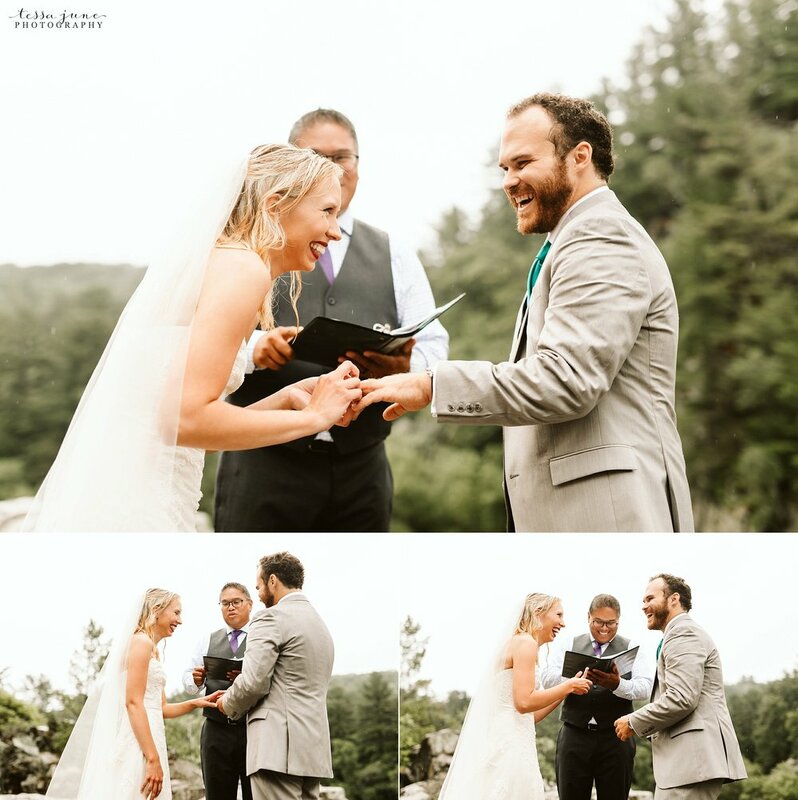 Their family watched with umbrellas as the two lovebirds exchanged vows and their rings! 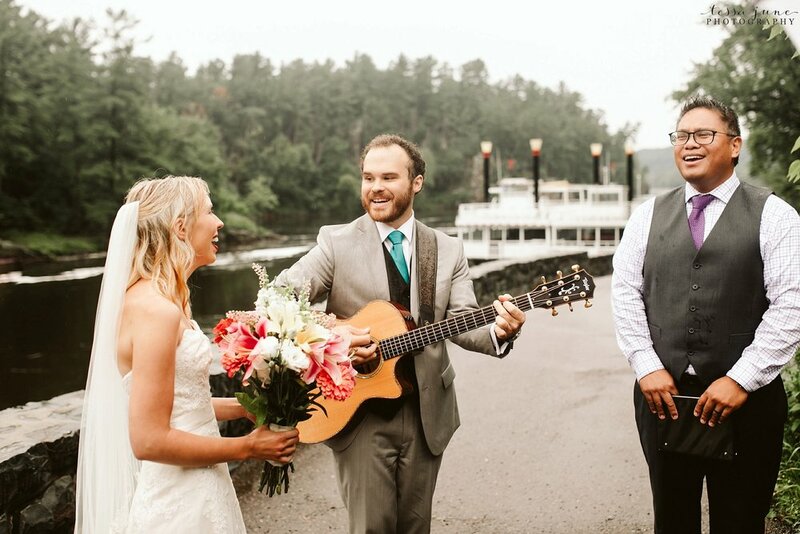 At the conclusion of the ceremony, Jared played a worship song on his guitar while everyone in attendance sang and worshipped. It was truly an amazing thing to be apart of. 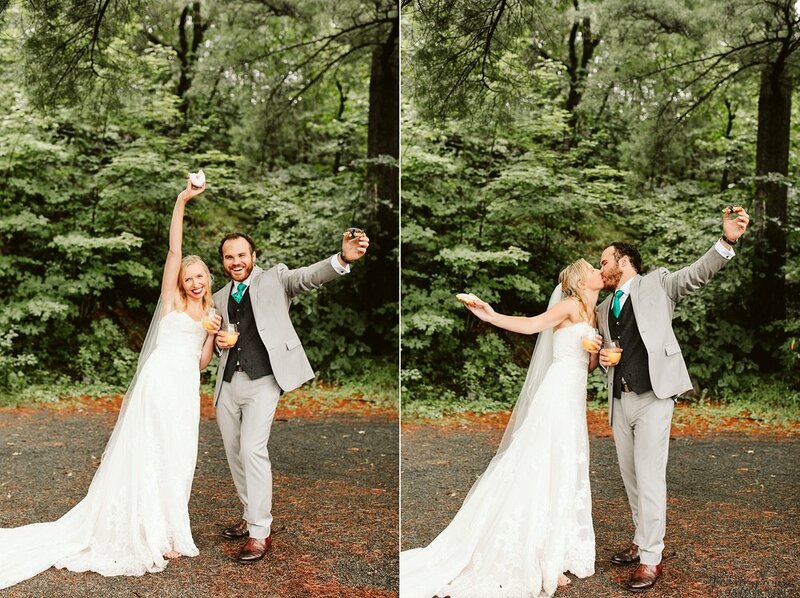 After the ceremony, Jenna, Jared and myself snuck off for a few more photos of the “newlyweds”! Once we wrapped those up, we all joined the family at the donut, coffee, and juice reception at a nearby picnic table. 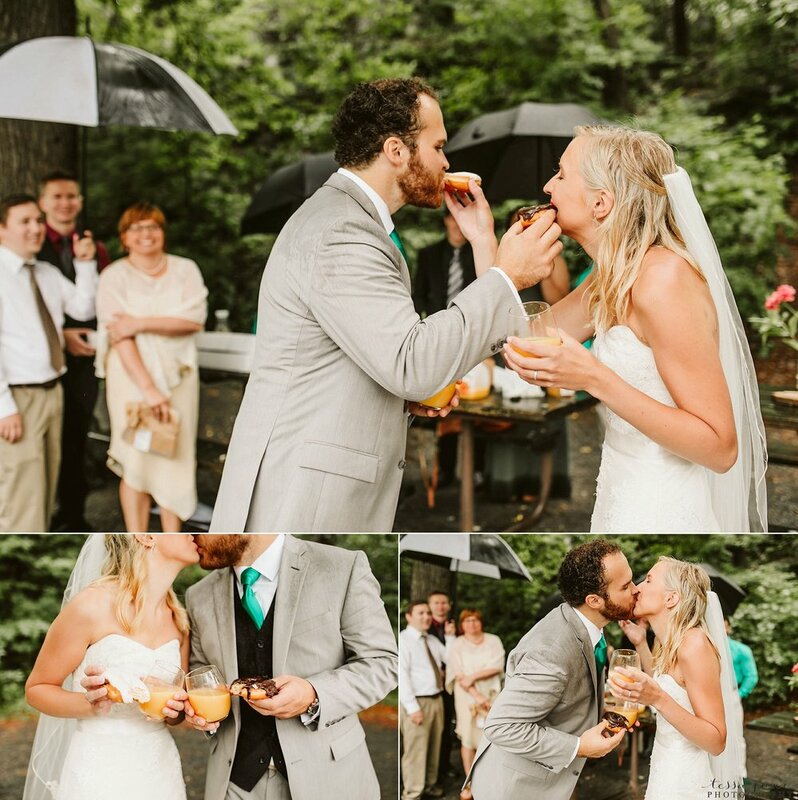 The two newlyweds shared a celebratory donut and juice! 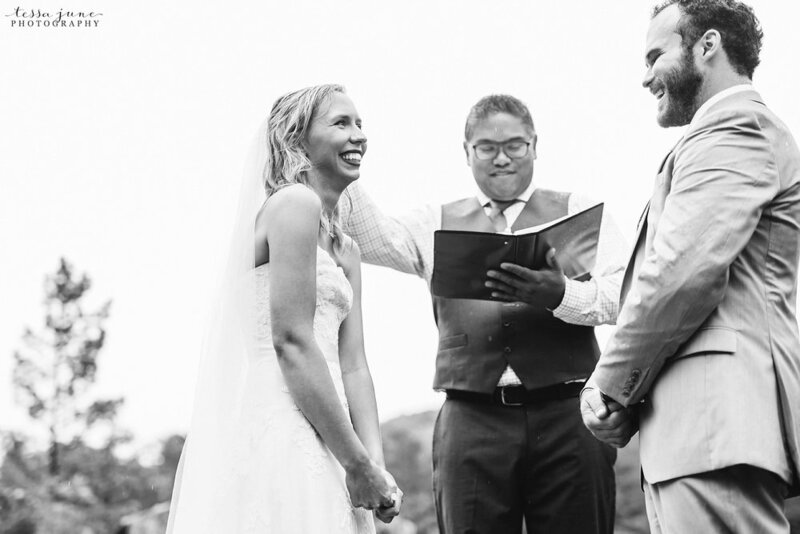 I absolutely LOVED being apart of these two’s wedding day - it was exactly what they wanted and it was a beautiful event to witness!